Audioboom / Adolf Hitler the Destroyer of States and the Stateless Jews: "Black Earth: Holocaust as History and Warning" 12/8/15Hr4: by Timothy Snyder. PART2of3. 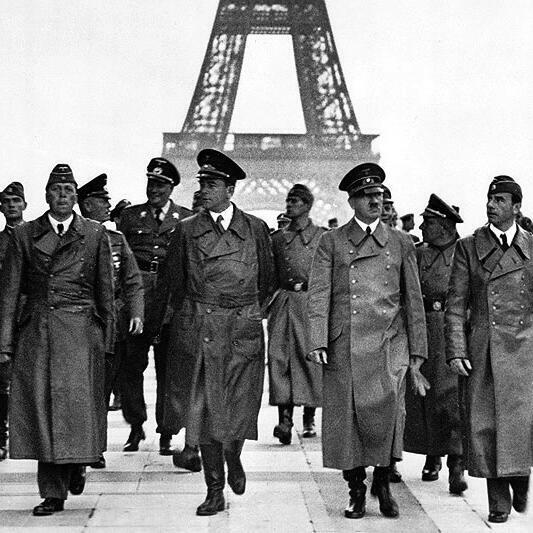 HOUR FOUR (Photo: For the propagandists, Hitler inspected the conquered Paris, June 23, 1940) Adolf Hitler the Destroyer of States and the Stateless Jews: "Black Earth: Holocaust as History and Warning" 12/8/15Hr4: by Timothy Snyder. PART2of3.. #Hitler destroyed states starting with Poland, 1939. The mass murder of Jews followed wherever there was anarchy and statelessness. Hitler viewed the Slavs as subhumans. Hitler regards the Jews as non-human, to be banished or destroyed.